This New York Times story gives all cat lovers something important to ponder: How should humans handle the expanding feral cat population, particularly in large urban areas? The solution appears to be down to two options, neither of which are terrific. 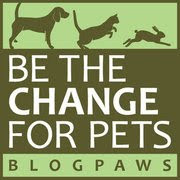 One is the trap, spay/neuter, release strategy advocated by many animal rights groups like Alley Cat Allies. The idea is that true feral cats really have nowhere else to go but the streets because they are not socialized to humans. The best strategy then, is to unleash an army of volunteers to trap as many cats as possible, take them in for surgery and then release them back to their native colonies. While this option clearly will stop the exponential growth of cat colonies, it does nothing to prevent the cats from "obliterating wildlife", says a representative from the American Bird Conservancy. Statistical counts show that feral and even indoor/outdoor pet cats contribute to millions of backyard bird deaths each year. And then there's the round 'em up and take 'em to a shelter strategy, which practically ensures that 70% or more will be euthanized. So what to do? We think the good news, at least for the cats, is that the trap, spay/neuter, release strategy is gaining popularity across the country. And in New York City, at least, there's currently about 5,500 or so volunteers ready to ensure that thousands of cats can no longer reproduce—and that is no easy task. 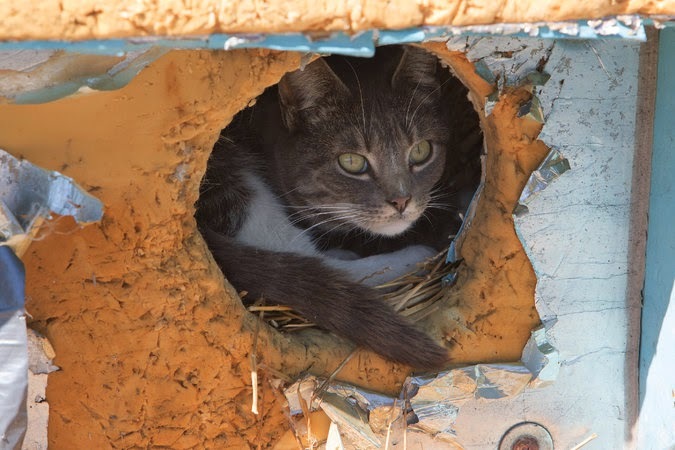 We salute these dedicated volunteers in New York and across the country for their generous donation of time and resources to help permanently reduce the feral cat population. Hear, hear. Although spaying and neutering may not be great at least the animals can live out their lives and the population is reduced. We salute the volunteers too. Have a fabulous Friday. 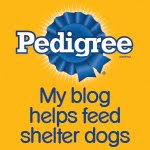 My question is does it encourage people to think this is an option for their pets? Wish we could just get everyone to spay and neuter and that would take care of the problem but doesn't really help right now though. I know several groups here in Columbus that work countless hours doing the trap and release programs. Interesting point Bailey, and kinda scary thought. And Sagira, I didn't realize there were groups in the Columbus area that do that work-maybe Parental Unit should get involved...although she best not bring any more cats home!